What happened in June and August? Just before each drop, Trump released lists of imports covered by tranches of his first $50 billion in China tariffs. Since 95 percentof these imports were intermediate goods, purchased by American firms, markets anticipated that the tariffs would push up their prices, reduce their output, and hurt their sales. 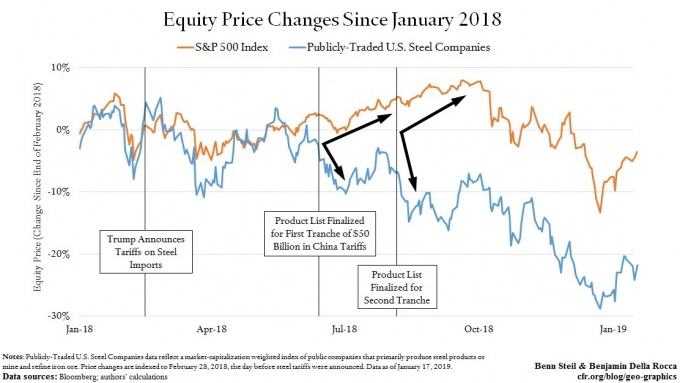 Tariffs would, in turn, drive down their purchases of domestic inputs, like steel.